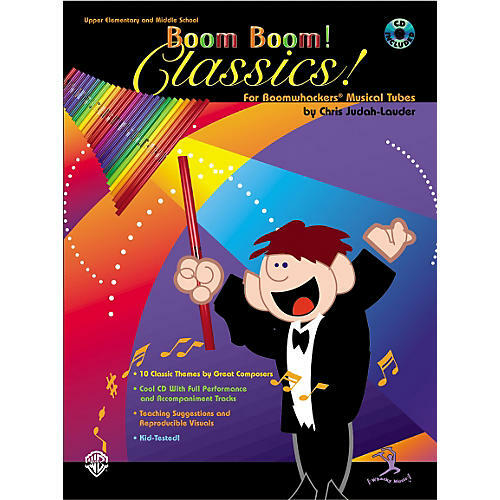 Finally, just what music teachers and their students have been waiting for-10 great movie and TV songs to play on fun, colorful Boomwhackers! Includes a cool play-along CD with full performance and accompaniment tracks, plus melody and accompaniment parts. Comes with teaching suggestions and reproducible visuals. Appropriate for upper elementary and middle school music classes.